Why Should I Care About Wearable Technology? I have a confession to make: I didn’t start using wearable technology until very recently because of a company-wide step-tracking challenge. And by “wearable technology,” I mean a pedometer that I dangled around my neck like a necklace from the set of a low-budget sci-fi movie. From Google Glass to Apple Watches, wearable technology always seemed like something that was totally out of touch with my day-to-day life. I don’t need to track my sleep cycles; I can tell if I’m well-rested when I wake up. I don’t need a watch to notify me that I have a text; I can check my phone. I was indifferent to the claims (and price tag) of wearable tech devices — until I started using one that directly improved the way I work. Here’s how my experience with wearables changed my mind — and how the huge variety of fitness trackers and smartwatches is actually a great thing. I have an office job in a “techy” office with standing desks, which I used to think were equivalent to the devil. But once my pedometer revealed that I was only walking about 800 steps during my 8-hour workday (far, far below the recommended 10,000 steps per day), I realized that I needed to change my habits. I started using a standing desk, which naturally led to taking more steps throughout my workday. As the numbers on my pedometer went up, I also started looking for ways to hit that elusive 10,000 step goal outside of the office: I started parking further away from my destinations, I took my dogs for walks more often, and I realized that going to the gym after work wasn’t enough. I needed to move my body during the day, too. By all accounts, the capabilities of smartwatches like the Apple Watch can be intimidating. Similarly, the Fitbit Blaze’s on-screen workouts may seem superfluous. But now is a great time to start seriously considering wearables for the simple reason that there are just so many out there. And, as an added bonus, there is a smartwatch or fitness tracker for literally every budget. Do you want something simple and inexpensive that will track your steps and workouts? Check out the Misfit Flash. Want some fashionable jewelry that will display customizable notifications? Check out Ringly. Want to throw all your money into the smartwatch equivalent of a Tesla? Reconsider that choice, buddy, because you don’t have to splurge too much to get a great smartwatch or fitness tracker. Case in point: the Moto 360, the Samsung Gear S2, and the Jawbone Up2. 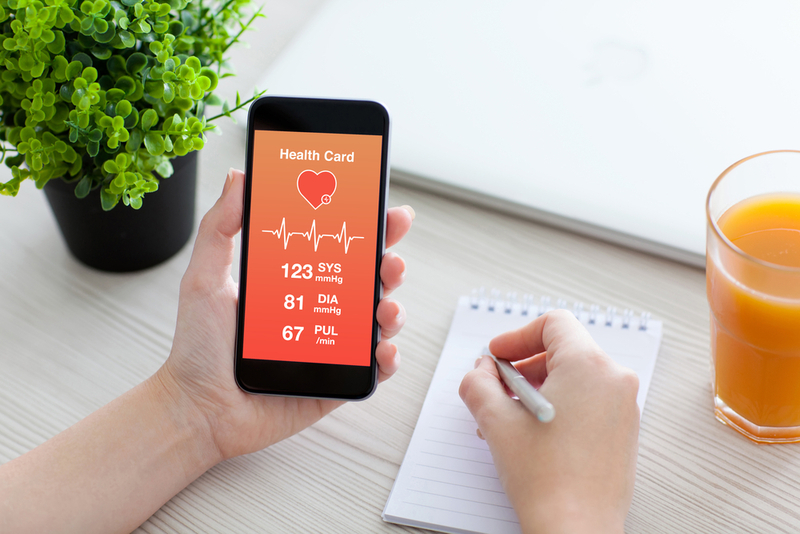 If you’re interested in making healthy changes in your life, it’s worth considering the ways that wearable technology can meet your specific needs. After all, you don’t have to jump onto the smartwatch bandwagon right away with guns a-blazin’. 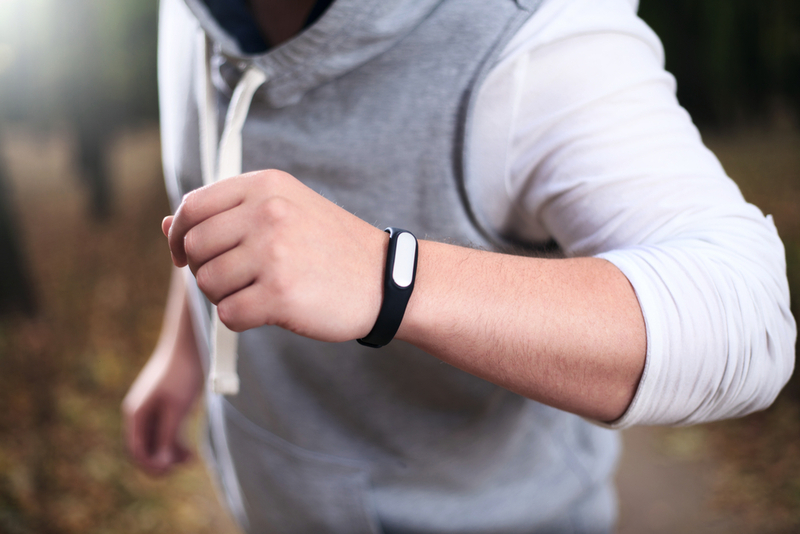 Try out a simple fitness tracker (or just a pedometer!) for a while, and see if it makes you more interested to learn what your body goes through on a daily basis. I tried using my phone as my pedometer during the first week of the step challenge at work, but it was annoying to carry it everywhere, and I felt like it caused me to use my phone more often. But it’s easy to forget that I'm wearing my pedometer, especially when I’m at the gym, which means I can focus more on my workout. I didn’t think I would look forward to tracking my steps, but it has become an important part of my daily routine both inside and outside of the office. More specifically, I’m glad that I was able to get a taste of wearable technology without having to drop mega cash on a pricey device. You’ll see crazy claims about fitness bands and smartwatches making headlines in the tech industry, from designer smartwatches to the fitness wearable that can allegedly track your calorie consumption. But like any other piece of technology, those claims don’t have to shape your experience with wearables. Their real value lies in how you use them. If you're seriously considering getting a wearable, start by focusing on the benefits that most appeal to you, such as workout tracking, phone integration, or simply the number of steps you've taken. Then, use the band or smartwatch to get more in tune with yourself. After all, the Apple Watch can only do so much; you can always take it off. What matters is how you use that data to make better choices, so you can live your best life. If a wearable can help you along the way, then it’s a worthwhile investment. As for me, it’s time to get moving. Big claims don’t have to shape your experience with wearables. Their real value lies in how you use them.